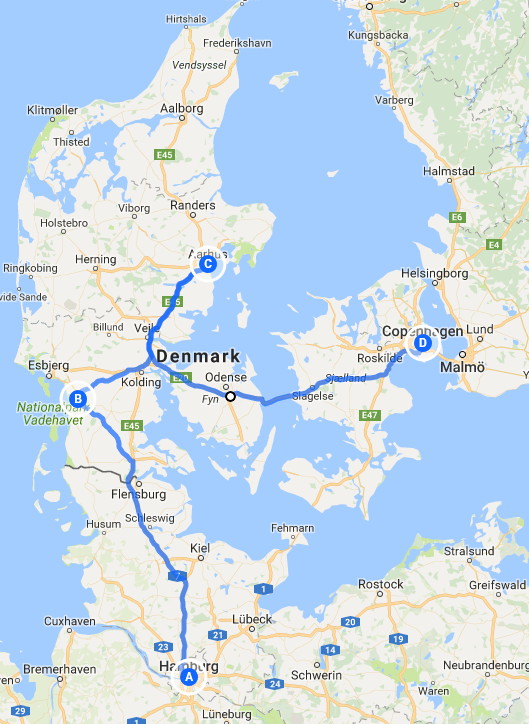 Denmark has a well preserved cultural heritage and consists of more than 400 islands, our tour in Denmark starts on the Jutland peninsula where we will visit the birthplace of one of the world’s most popular toys, Lego. Far too good just for children Legoland is a wonder for all ages. Whilst on Jutland we also visit Ribe, the Oldest Town and Aarhus, which will bring alive the Danes legendary sense of design and architecture. The islands of Zealand and Funen are now linked to Jutland by bridges, including the 18km stretch of the Storebælt Bridges; opened in 1998 having taken 10 years to build they consist of two bridges and a tunnel, these can be crossed as we move towards Denmark’s capital. 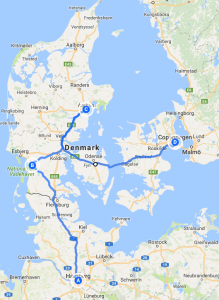 In Copenhagen we have excursions arranged for a tour of the city and to Roskilder city for a visit to the wonderful Viking museum and a walk alongside the Baltic Sea Fjord. We finish our tour with an amazing evening of music, dinner and light shows at the world famous Tivoli Gardens, joining with the Danish as they celebrate mid summers day – one of the largest festivities in the Scandinavian calendar. Travelling in Scandinavia at this time of year is very special, enjoying the long days that being this far north provides with darkness not arriving until very late in the evening. Add all this together along with some Danish pastries and you begin to understand why Denmark is an intriguing holiday destination. 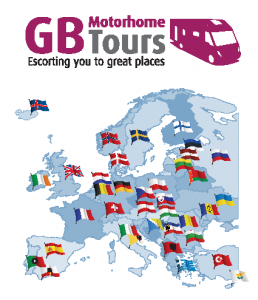 We meet at a good quality campsite near Hamburg, Germany for the start of our tour and this evening get together for welcome drinks and dinner in the campsites own restaurant. As we are close to Hamburg it would be disappointing to miss spending some time in this wonderful city. This morning we’ll be collected from our campsite for a full days guided sightseeing in the city with lunch included in a traditional Hamburg restaurant. Free day to visit Ribe, the oldest town in Denmark. It is Market Day today located at the Skibbro Quay. This evening you could join the Night Watchman for a free 45min tour, starting from the Town Square. Our destination today will be the world famous Legoland which features more than 60 million LEGO bricks and is filled with impressive models and displays. Free day to relax or revisit Ribe as it is one large attraction, with more than 100 preserved houses, half-timbered architecture, cobblestone streets and narrow alleys. Ribe Cathedral, started in approx. 1150 and finished in approx. 1250, is the only Danish church with five naves. Excursion into Aarhus. Last year Aarhus was the European Capital of Culture. We will visit ‘Den Gamie By’ – The Old Town Museum and the National Open Air Museum of urban history and culture. Also to the roof of ARoS Art Museum for the spectacular artwork of the rainbow panorama. Included in the day is lunch at an Aarhus restaurant. Free time to explore Aarhus further, the local bus stops close to the campsite and Denmark is very cycle friendly should you have a bicycle with you. We will be collected by coach and taken for a full day guided tour of the capital, including lunch in a city restaurant. 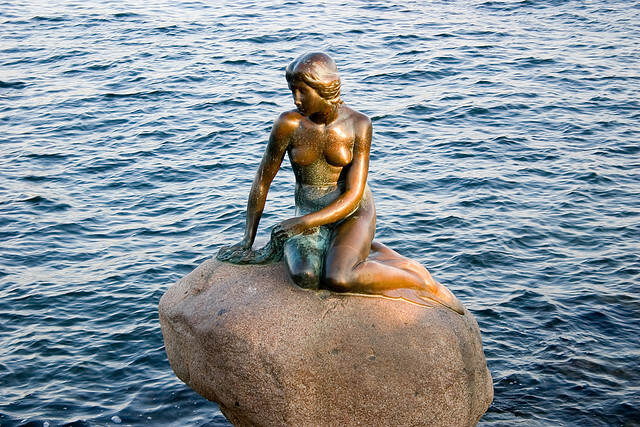 The fairytale city of Copenhagen is home to the world-famous statue of Hans Christian Andersen’s Little Mermaid and is full of historic landmarks, significant buildings and interesting sights. Dotted with parks, gardens, water fountains and squares, the city combines a charming, relaxed feel with a lively and exuberant atmosphere. A free day. You may choose to explore Copenhagen further using the public transport from nearby our campsite or maybe take it easy with a stroll through the park that surrounds our campsite. We will be taken to the ancient Viking city of Roskilde, once the capital of Denmark. We visit the Viking Ship Museum which as well as housing the well-preserved remains of five ships excavated from the nearby Roskilde Fjord provides a wonderful insight in to shipbuilding from this era. You will be free to explore the museum at your leisure and later the city itself. Among many other places of interest is the Gothic Cathedral, dating from the 12th Century and the first Gothic cathedral to be built of brick. Next to the cathedral is Roskilde Palace, part home to the Bishop and part museum. The buildings stand on a hill from which there is a great view over the fjord which the Viking museum is located on. Today is mid-summer day, a major celebration in Scandinavia. The day has been left free in preparation for our ‘Farewell Evening’ at the world renowned Tivoli Gardens. Opening in August 1843 the park and pleasure garden is the second largest such attraction in the world and welcomes over four million visitors each year. Being mid summers day tonight is a special occasion in Tivoli with concerts, bonfires (a tradition to keep the witches away) and light displays all taking place. We will arrive early evening in time for a wander through the gardens and to enjoy some of the music, have our Farewell Dinner in a Tivoli restaurant to be finished in time for the late evening bonfire and light displays. Our tour comes to an end this morning. You may decide to stay a little longer in Denmark or begin making your way back to the UK.